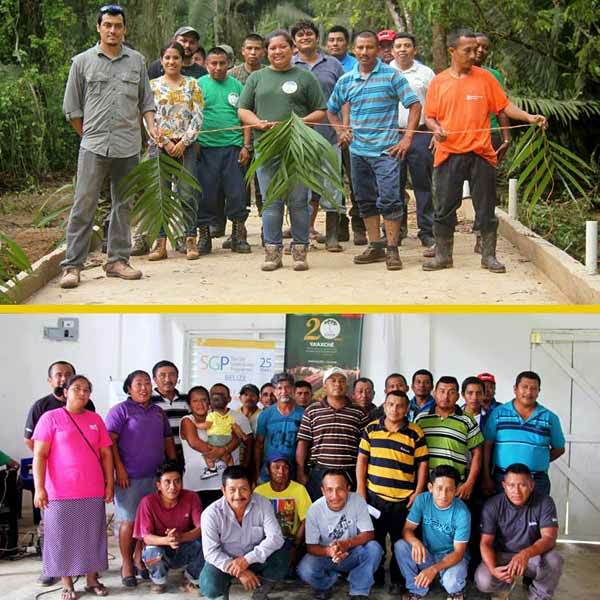 Last week Friday, the Trio Farmers Cacao Growers Association and Ya’axché inaugurated a bridge which will improve access for 31 farmers growing cacao in the 936-acre agroforestry concession within Maya Mountain North Forest Reserve. So far 28000 fingers of plantains, 1050 pounds of corn, 1000 pounds of peppers and over 900 pounds of wet cacao beans have been harvested. In 2019, it is estimated that 90,000 pounds of wet cacao beans will be harvested as the cacao trees continue to mature. In anticipation of this, Ya’axché with permission from Belize Forest Department and financial support from the GEF Small Grants Programme constructed a bridge at the entrance of the agroforestry concession to facilitate timely transportation of cacao beans and other farm products especially during flooding.